Peter represents those who want Jesus and themselves to be associated with social acceptance and material and political success– not suffering, failure, rejection and death. Peter wants to make Israel great again—like some today (even Christians) want to make America, or any prized party, tribe, nation, ministry or agenda great again. 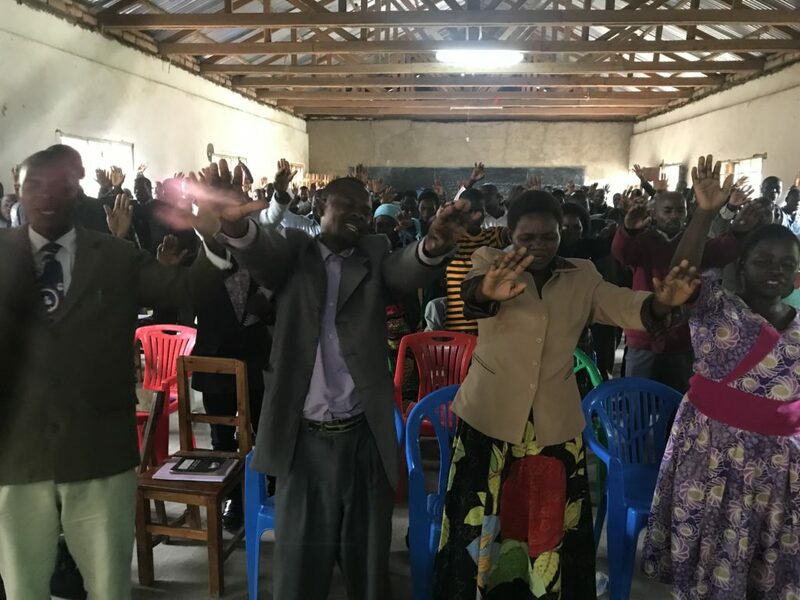 For the past two weeks Gracie and I have ministered alongside our African partners to run four-day trainings for pastors and leaders in Kenya, Tanzania and Zimbabwe. We have been delighted to see widespread negative images of God dramatically give way to our teachings and group Bible studies on God’s love and grace, exciting us to further equip people to proclaim good news. Negative images of God are common in places of poverty and hardship. Christians, Muslims and adherents of traditional African religions are all inclined towards legalism and performance. Known “sinners” usually do not feel welcomed in church services, until they first make required changes. Once inside the church they will often hear messages of condemnation, and promises that a life of purity and sacrifice will lead to financial and personal success. 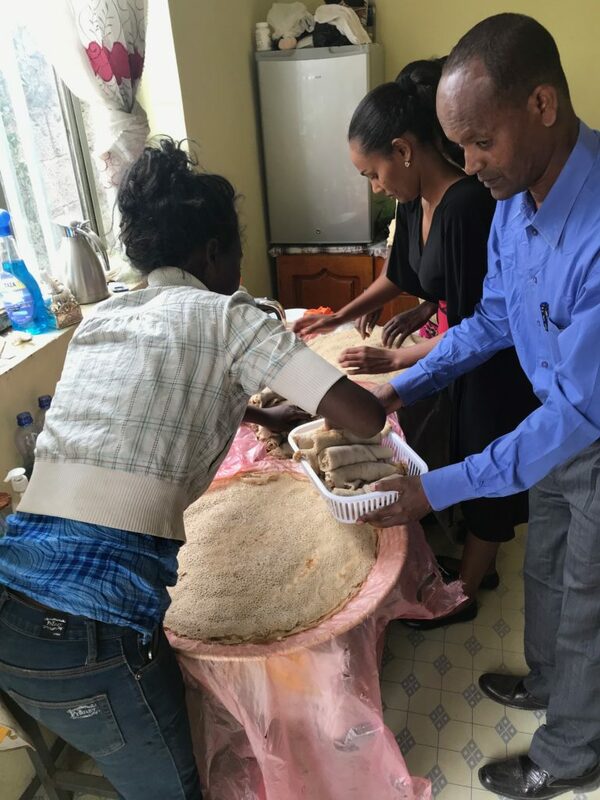 Christians who are not experiencing prosperity and “success” are often tempted to engage in traditional African religious practices. In this way people come under the law of ancestral traditions and even witchcraft practices in addition to Christian legalism. These practices, which are usually kept secret, involve costly sacrifices and elaborate rites that must be followed exactly. In our teaching we directly challenge this tendency to focus on sacrifice, purity and laborious observance of laws as prerequisites. In Bible study after Bible study we help people see how God loves us in our brokenness and sin, with no pre-conditions. People are shocked and delighted to see that God pursues Adam, Eve, Cain, Israel, David and countless others when they’re in the midst of their sin. They become won over to the good news that sin doesn’t separate God from us when they see Jesus pursuing tax-collectors, sinners, and Scribes and Pharisees in the midst of their activities– calling them to follow him. A big shift takes place as people see repentance, hunger and thirst for righteousness and other changes flowing naturally out of an experience of God’s unconditional kindness and embrace. People need repeated doses of good news in order to let go of fear of condemnation underlying a life of striving. 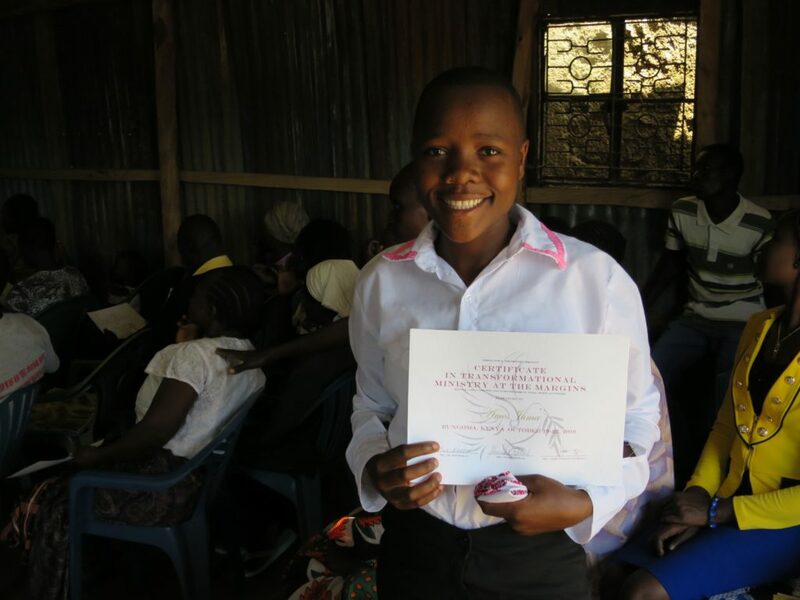 Our first training took place in a humble sheet-metal church in Kimwanga, an impoverished village of the city of Bungoma in Western Kenya. There we offered the third and final course of our Certificate in Transformational Ministry at the Margins (CTMM). At the end of our second day a drunken woman on her way back from a nearby bootleg distillery stumbled into the church at the end of one of our session—something locals told us never happens. The woman came up to the front confessing her sins aloud, repenting of her alcoholism. She dropped to her knees at the front of the church before Gracie, me and our Kenyan colleagues, James and Helen. The pastors all rose and began to sing a worship song, and we prayed for her. Over the course of the remaining two days this woman returned two more times to request more prayer. Two other drunken and heavily demonized men also joined the group—one of whom surrendered his life to Jesus and even completed the training. 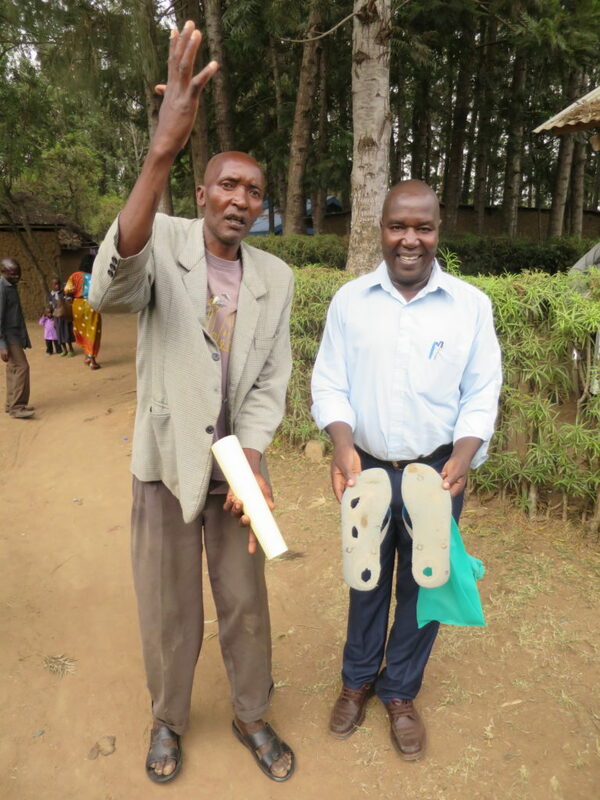 He was thrilled when James bought him a new pair of sandals to replace his hole-filled flip-flops (see photo below). 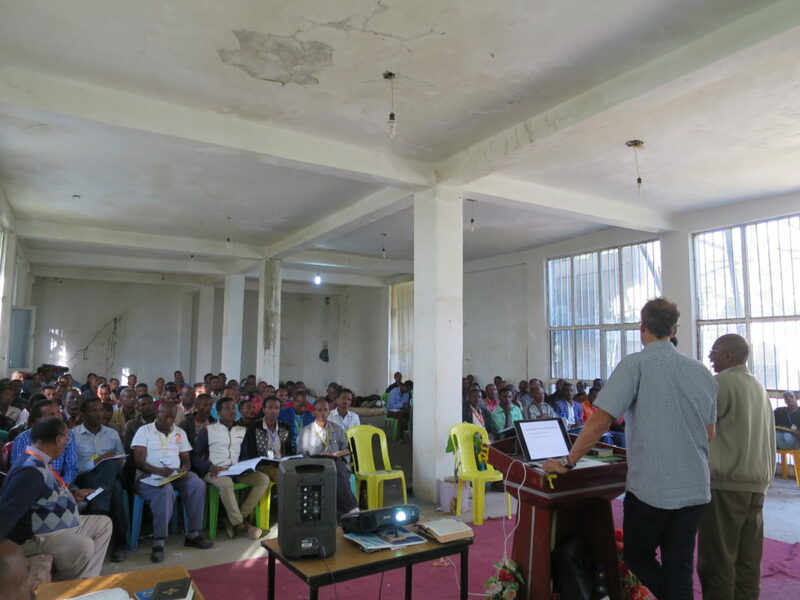 Last week in Mbeya, Tanzania we offered the first module of our CTMM to over 150 pastors and leaders. On the third day a man came forward confessing that his uncle had recruited him to take over his vocation as witchdoctor before he died. In front of a roomful of pastors and leaders he renounced practicing witchcraft and dedicated his life fully to Jesus. We prayed for his full deliverance and he graduated the Course with joy (photo below). These public confessions and conversions served as visible signs confirming the teaching and the very good news announced by the Apostle Paul that the God’s kindness, tolerance and patience leads to repentance (Romans 2:4). The people blessed us as we left for Zimbabwe (final photo), where we start our final course tomorrow. Here’s a link if you’re interested in collaborating. 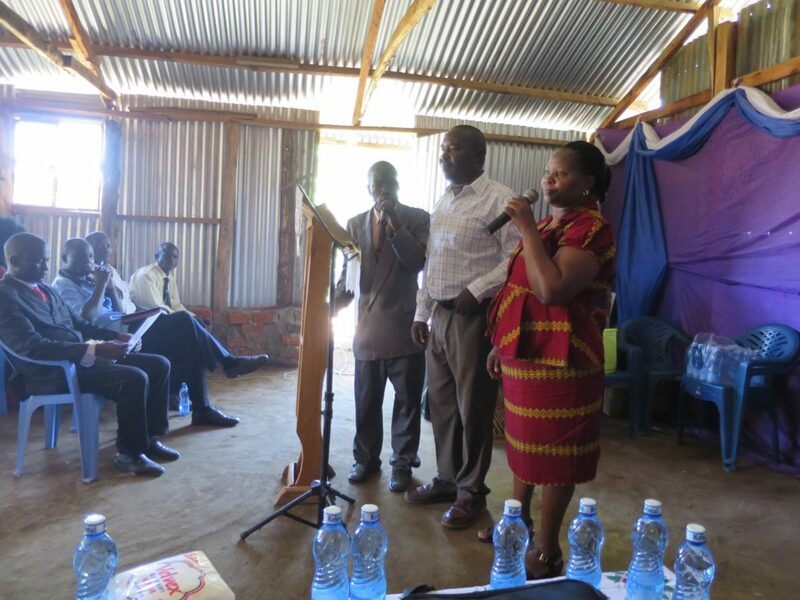 Across the developing world, 3.2 million pastors are untrained or under equipped. 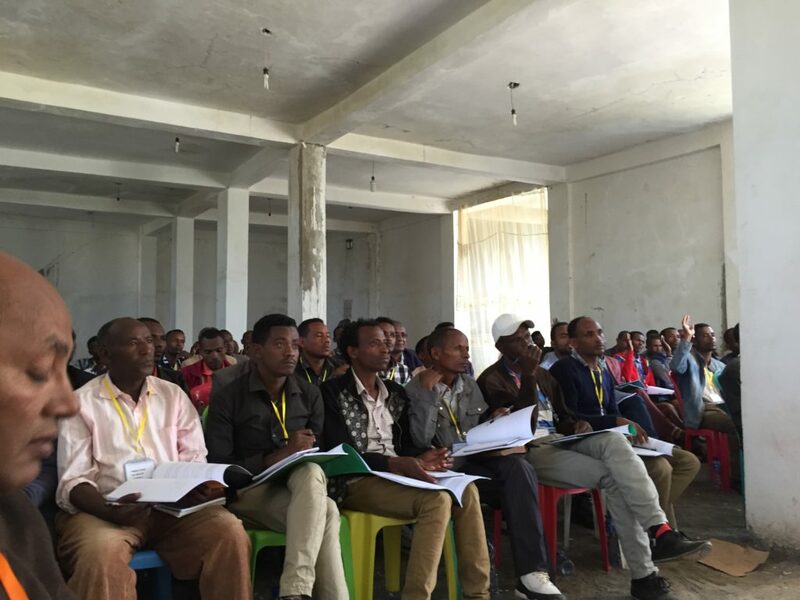 In Africa, it is estimated that 90% of church leaders may never have received even one day of formal training. This is especially true in East Africa, where poverty, drought, disease, conflict and religious persecution are wreaking misery and chaos. 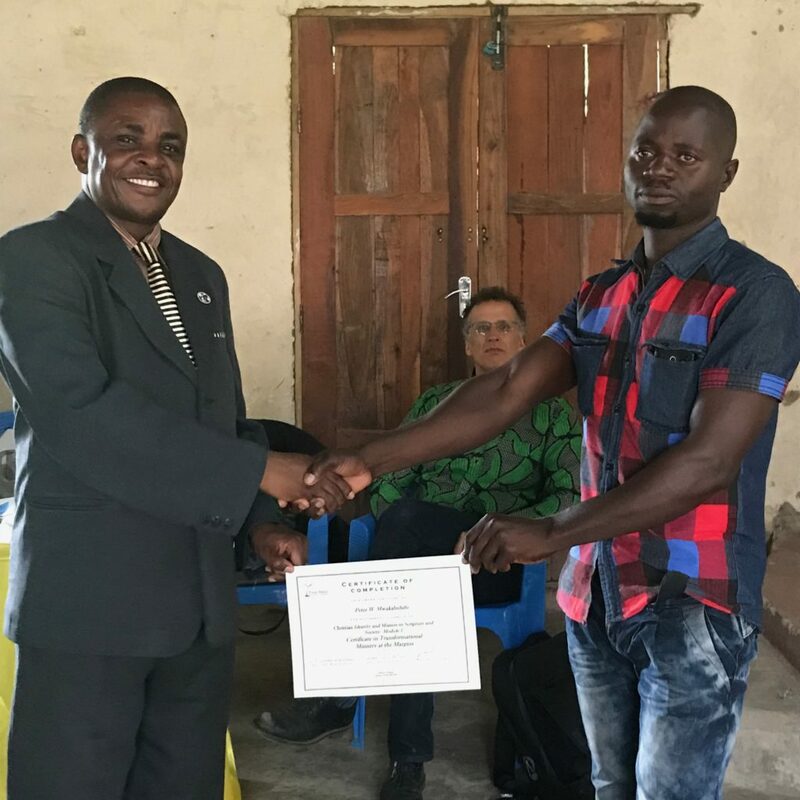 While some training is available to the privileged, training is needed for front-line Christian ministry workers who are giving their lives in service of the excluded and under-reached. 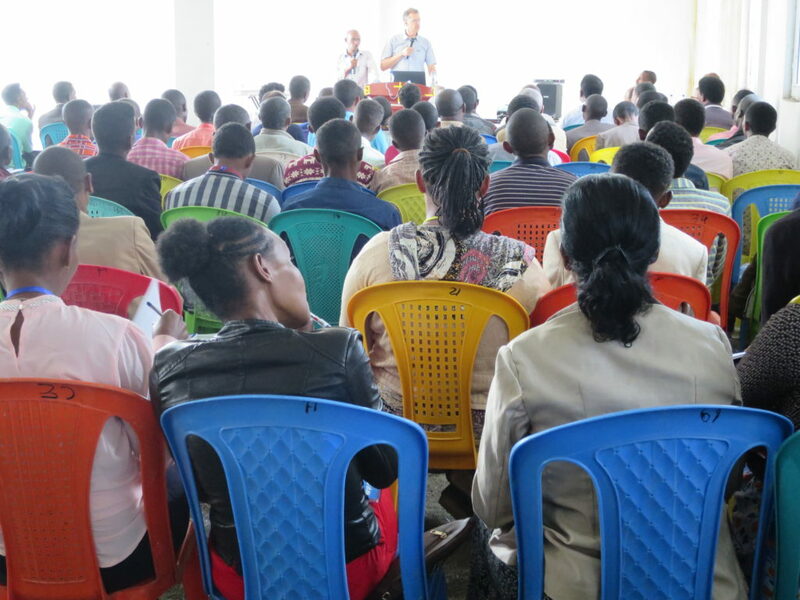 As you may know, we have developed a training program that helps grass-roots ministry workers of all ages develop core competencies in skills such as leading Bible studies, teaching, emotional and physical healing, advocacy, gifts of the Spirit, conflict resolution, addiction-recovery approaches, prison ministry and sustainable agriculture. This program offers a “Certificate in Transformational Ministry at the Margins,” which can be taken in three, four-day intensive seminars or through a distance learning program over 12-18 months. We have completed CTMM cohorts in Burlington, London, Glasgow and Seoul. If you live in the UK, consider enrolling in one of our CTMMs in Glasgow (March 14-17, 2018) or Bristol (April 18-21, 2018). See www.tierranueva-europe.org for more information and applications. 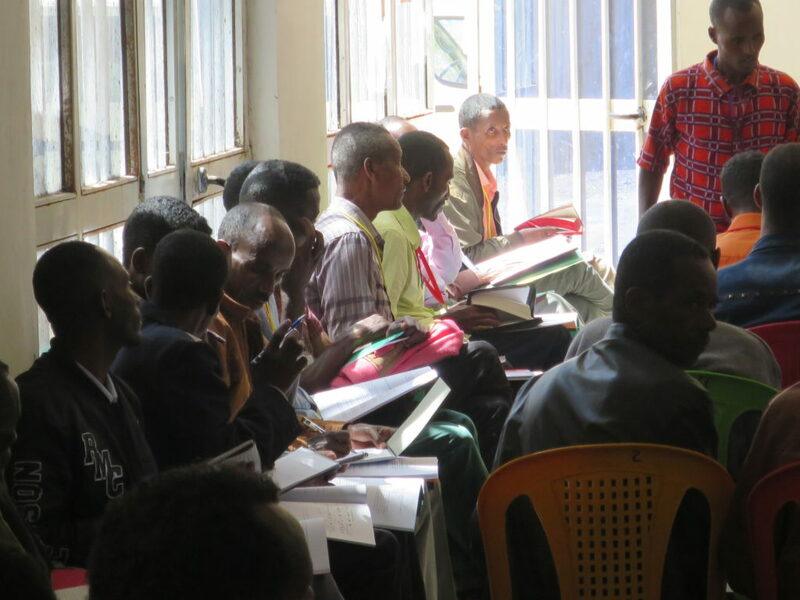 To respond to the acute need for training in East Africa, we currently have four different four-day trainings planned to equip 500 leaders in: Western Kenya (Jan 10-13), Mbeya, Tanzania (Jan 17-20), Gueru, Zimbabwe (Jan 23-26), and Ethiopia (April). Normally I do not send out fund raising appeals through these updates. But funds are needed now to purchase airline tickets and make other arrangements, and we have initiated an unprecedented GoFundMe campaign. We would love your help to promote it. The cost for one African leader to receive this four-day training course is $55.00, which includes meals and accommodation for participants from remote areas, travel expenses for African trainers who help teach and minister, airfare (from Europe) and accommodation for us, the translation and printing of training manuals and certificates, along with other incidental expenses. This must be heavily subsidized due to people’s limited resources. 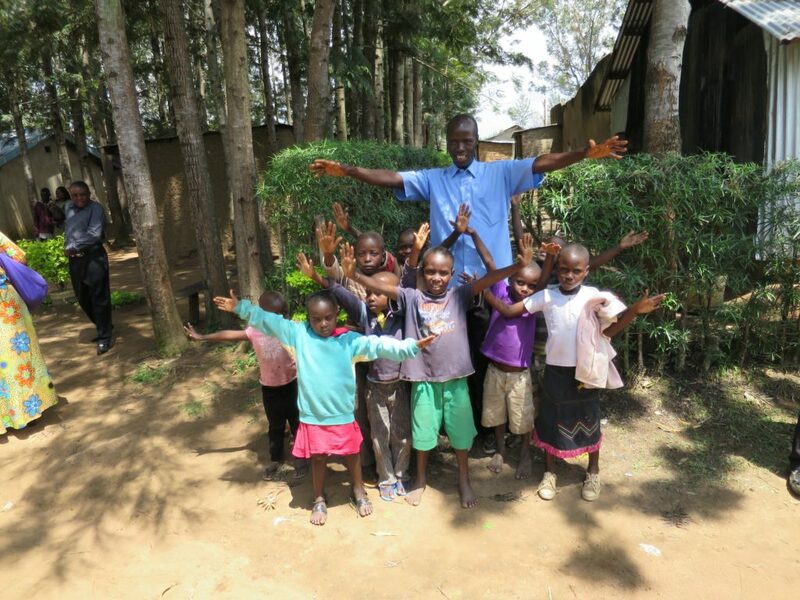 We are trying to raise $27,500.00, which will allow us to offer a four-day CTMM to about 500 people in four countries. Peace and joy to you this Christmas! That afternoon we headed to a metro stop where East African refugees are known to congregate. Almost immediately we met an Ethiopian man who introduced us to Eritreans who’d arrived that day from having just crossed over by boat from Libya to Italy. He guided us to an abandoned school where over 500 refugees from many countries were squatting in crowded, miserable conditions. We ended up praying for a number of people there, and the reality of the European refugee crisis suddenly became all too real for me (see past update). We raised some funds to help pay the ransom to free Ismahan’s brother, and she was able to arrange her brother’s release. 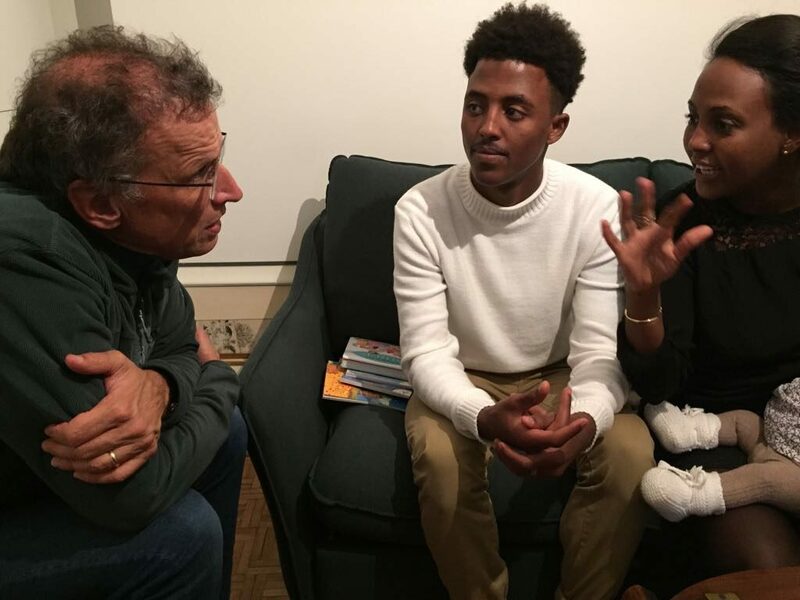 On our recent trip to Paris this Fall, Ismahan introduced us to her brother Aydarusse, now 17, who has finally made it to France (photo above). He told us how his captors held him in a shipping container full of other mostly young migrants in the desert for three months (read more here). His captors regularly tortured him and the other prisoners, some to the point of death. They would hang him and other hostages by their wrists and whip them on a daily basis—calling their family members threatening to sell them as slaves, or sell their organs if they didn’t send money immediately. When his captors finally received their ransom Aydarusse was released, put on a boat full of migrants. The boat behind them capsized and hundreds of people drowned, including one of his close friends. He made it across to Italy and spent a year in a refugee resettlement camp before Ismahan was able to arrange his passage to Paris. Since his confinement in Libya, he has been suffering from anxiety and seizures. Though he considers himself a Muslim he asked us to pray for him. What a privilege to have this opportunity to hear his story and minister the love of Jesus to him! On November 5 during a layover in Paris from Ethiopia I preached at a special international service with French, Japanese and Egyptian congregations gathered at Eglise Protestante Unie du Marais (watch here in English and French). I had been asked to preach on Isaiah 58, the biblical text at the heart of my pastoral call. I shared how I’ve been struck afresh by God’s word to the prophet: “Cry loudly, do not hold back; raise your voice like a trumpet, and declare to my people their transgression and to the house of Jacob their sins” (vs. 1). Why is the prophet to speak so strongly about the people’s sins? God, too, notices his people’s spiritual quests. “They seek me day by day and delight to know my ways.” They ask me for just decisions, they delight in the nearness of God” (58:2). However God is not impressed, seeing and exposing social sins blocking their relationship with him and with each other. Isaiah exposes and denounces spirituality devoid of social compassion and equity. Here God dismisses religion practiced by people who’ve hardened their hearts to the plight of the poor. Isaiah’s message seems highly relevant to our times. I wonder what the equivalents of this would be today. I know how easy it is for me to justify consumerism, and hostility around politics. Today’s growing lack of civility sadly includes many Christians, and tough attitudes towards immigrants, certain kinds of transgressors and national enemies are certainly on the rise. Through the prophet God calls the people to a spirituality that involves them becoming agents of freedom to people who are oppressed. According to Isaiah 58, abundant life, recovery and deep spiritual connection with God will happen when we take action against injustice and engage concretely with people in need around us. Hearing God’s voice and being guided spiritually are intimately linked to acting compassionately towards hurting people around us. As I shared these thoughts and the story of Aydarusse, Ismahan suddenly noticed that her brother was standing at the back of the church with a big smile on his face. The whole congregation broke out in cheers. Many had contributed so he could be released. Currently I am in contact with a Salvadoran pastor named Giovanni who had to flee El Salvador due to his prison ministry to gang members. He himself is a former gang member and was being targeted and persecuted by law enforcement. Upon entering the United States this past August he was arrested by Immigration and Customs Enforcement (ICE) agents, and is being held in detention. 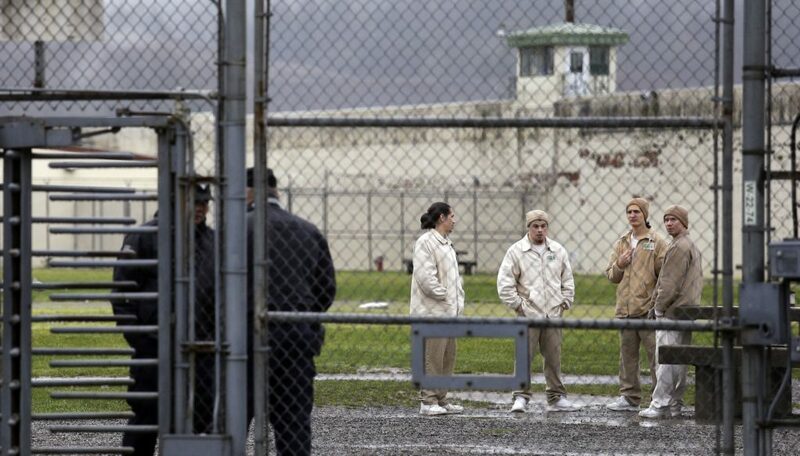 Giovanni continues to share his faith with fellow detainees and is making a big impact. However he has just been given the opportunity to bail out to pursue his claim for political asylum, but needs $5000 for bail. 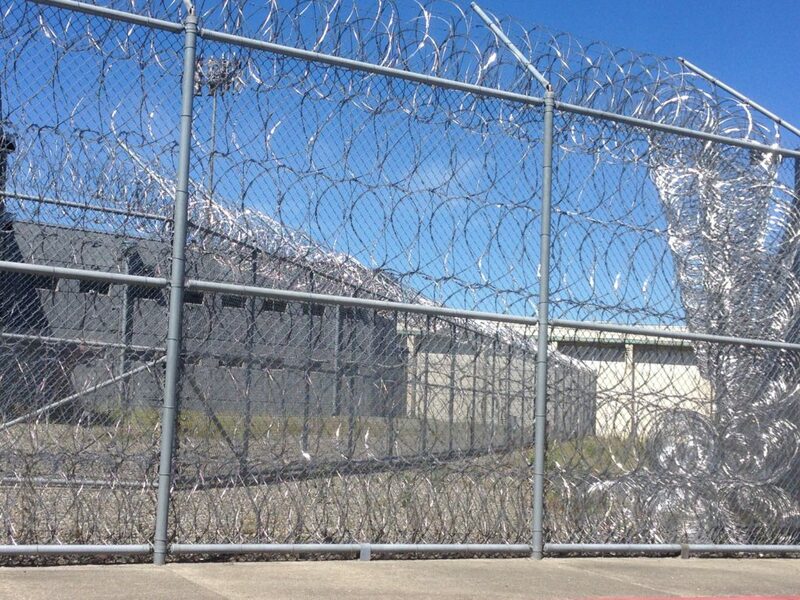 Consider helping him bail out so he can rejoin his wife and son, now in Washington State (see our Gofundme campain here). May you open your heart afresh to the living God and to vulnerable people around you during this season, as you celebrate the birth of Jesus, the world’s Savior. The Bible’s WikiLeak-like exposé of the sins of God’s people must be read as an invitation to transparency for us today. We mustn’t scapegoat Jews, Christians or anyone, “for all have sinned and fallen short of the glory of God.” Let us allow Scripture’s public prophetic judgment to expose our personal, racial and national sin.